Noi Zhordania, the son of a small landowner, was born in Guria in 1870. He attended the Tiflis Seminary and the Warsaw Veterinary Institute. Converted to Marxism Zhordania he established the Mesame Dasi group in Georgia. Threatened with arrest he left the country and became editor if the radical journal, Kvali that supported the Social Democratic Labour Party. At the Second Congress of the Social Democratic Labour Party in London in 1903, there was a dispute between Vladimir Lenin and Julius Martov, two of the party's main leaders. Lenin argued for a small party of professional revolutionaries with alarge fringe of non-party sympathisers and supporters. Martov disagreed believing it was better to have a large party of activists. 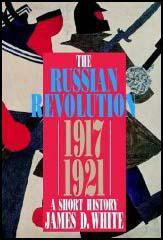 Martov won the vote 28-23 but Lenin was unwilling to accept the result and formed a faction known as the Bolsheviks. 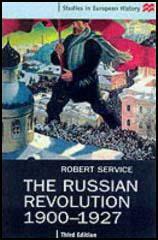 Those who remained loyal to Martov became known as Mensheviks. Zhordania joined George Plekhanov, Pavel Axelrod, Leon Trotsky, Lev Deich, Vladimir Antonov-Ovseenko, Irakli Tsereteli, Moisei Uritsky and Fedor Dan and supported Julius Martov. On his return to Russia he published the Sotsial Demokratia in Georgia. In this role he successfully persuaded the Social Democratic Labour Party in Georgia to support the Mensheviks. In 1914 Zhordania worked with Leon Trotsky on the journal Borba (The Struggle). After the February Revolution he was elected chairman of the Tiflis Soviet. In June, 1918 he became head of the new Georgian government. However, he was forced out of power by the invasion of Georgia by the Red Army in February, 1921. Zhordania went to live in exile in Paris. Noi Zhordania died in France in 1953.